I was first diagnosed with psoratic arthritis at the age of 23, just before I was about to go overseas on my big OE. Against advice not to go, I packed my bags and headed to Europe. For the next five years, I travelled with pain, discomfort and regularly felt tired. “Looking back I was living in denial and never understood my condition”. I returned to NZ in 2002 and become more unwell over the next two years. “I was exhausted, fatigued and in constant pain.” I collapsed in 2004 and was rushed to an accident & emergency unit. After the weekend in hospital I was diagnosed with rheumatoid arthritis. For the next five years, I experienced shock, denial (loads of this) depression, anger – with myself, others, the world. I would spend beautiful days on the couch in my pyjamas. I was blessed to have a fantastic rheumatology outpatients team in Peter Chapman (Rheumatologist) and Jan Ipenburg (Clinical Nurse Specialist). They gave me lots of information about my condition, about resting and balance. They referred me to Arthritis New Zealand where I met Sue (Arthritis Educator). Sue came to our home and gave us more great information. She talked to both Riwai and I about what life was going to be like with arthritis. 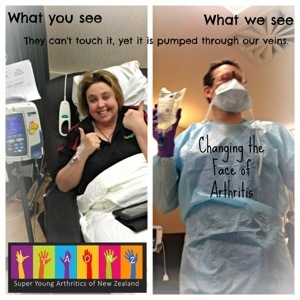 I attended a lifestyle course run by Arthritis New Zealand which reminded me to take ownership of my condition. I took a little bit from everyone and discovered how to listen to my body, take time off when necessary and started to positively manage my condition. However, even with a long list of support I felt there was one big gap in my health plan. Nearly all my team players would remind me of the benefits and importance of exercise. I was given plenty of books, websites, pamphlets and even DVD’s on how good exercise is for arthritis. I was linked to a couple of group exercise programs but the times and content were suited to more mature sufferers. Unlike other aspects of my treatments, there wasn’t one person overseeing and helping me with a suitable and achievable exercise plan. I had been fit and active before my diagnosis but I wasn’t sure how to exercise with pain, medications, fatigue, swelling, aches and depression while coping with living with arthritis. In February 2009 I was at my breaking point. I was spending too many blue sky days in my pajamas watching life pass me by. Something had to change! I starting slowly exercising, fumbling my way to discover what was the difference between pain and discomfort, focussing on what my body could achieve and understanding my limits. In June 2009, I won “Best Changes to Life” in the Catch Fitness 20 Week body and lifestyle competition and graduated as a Fitness Professional and Personal Trainer later that year. 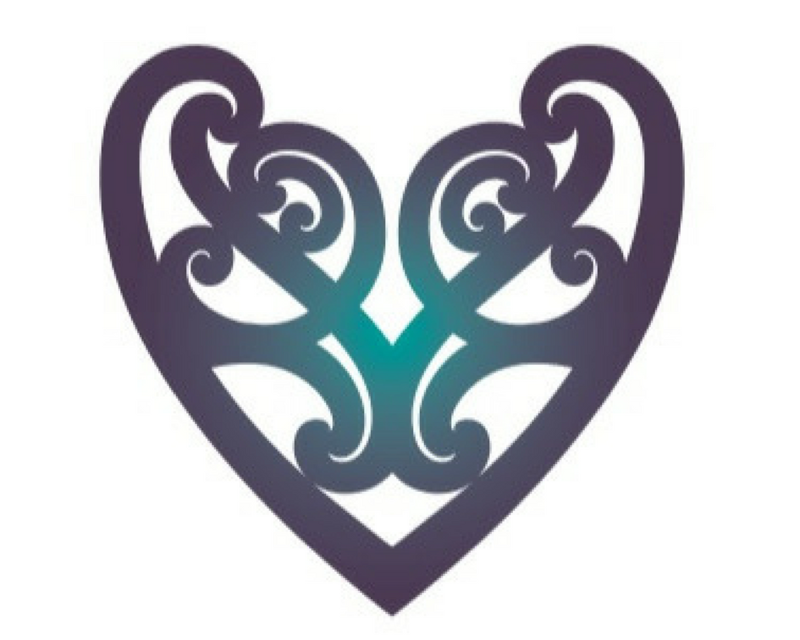 I am now the proud joint owner (with my husband, Riwai) of Grace Training (formally Leap Fitness & Motivation Ltd and Leap2it! ); a company dedicated to helping people with chronic conditions discover and share their good news. I want my clients to be supported with exercise early in their diagnosis. I am no longer in denial. I am not even in remission. I have learnt to manage and live with my chronic conditions. It might sound strange but being diagnosed with arthritis was one of the best things that ever happened to me. I continue to live with my chronic health condition and it makes me appreciate life and live it to the fullest. You are doing a great job and are an amazing inspiration to us all.